Soft pink petals are lined with silvery shades of pink and white on the back. One of Ralph Moore's roses (introduced in 1971), Andrea has a classic rose shaped flower and can often have as many as seven flowers in one cluster. The perfectly shaped buds (pictured above) are ideal for drying or using in fresh crafts like our fresh Herbal Wreath. Andrea produces rose hips at the end of the season. 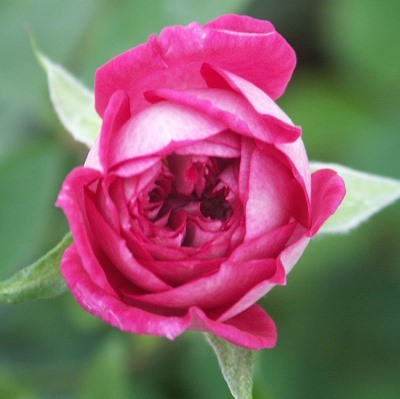 Andrea Miniature Rose would make an excellent addition to our Crafter's Herb Garden Six Pack.